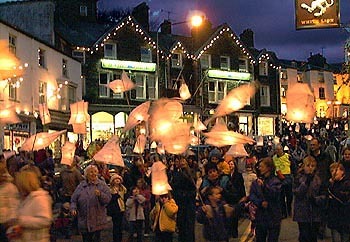 Every year on the third Saturday in November, the people of Ambleside parade through the town at dusk, carrying hundreds of paper lanterns. 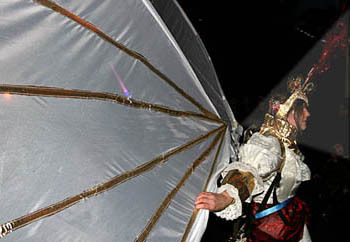 Young and old turn out to witness this spectacular procession, as traffic is halted and Christmas street lights throughout the town centre are switched on as if by magic by Santa Claus. Then there are FIREWORKS . .